Waitangi Day marked the beginning of modern New Zealand as the country entered the system of nation states, initially under a British mantle, when Maori and Pakeha embarked together on a new partnership. 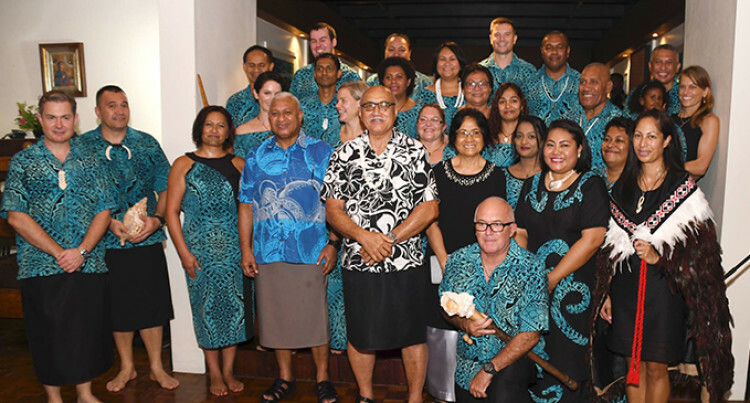 2019 will be an exciting and busy year for New Zealand in Fiji, says New Zealand’s High Commissioner to Fiji, Jonathan Curr. Mr Curr made the remark during the Waitangi Day reception at his residence in Suva on Wednesday. Attending the reception were President Major-General (Ret’d) Jioji Konrote and wife, Sarote Konrote, Prime Minister Voreqe Bainimarama, former President Ratu Epeli Nailatikau and Adi Koila Nailatikau, Government ministers, diplomats, permanent secretaries, Members of Parliament and senior military and Police officers. On February 6, 1840, the Treaty of Waitangi was signed by more than 500 Maori chiefs and representatives of the British Crown. The intention of the treaty was to establish a British Governor of New Zealand, recognise Maori ownership of their lands, forests and other possessions and give Maori the rights of British subjects. Mr Curr said it marked the beginning of modern New Zealand as the country entered the system of nation states, initially under a British mantle, when Maori and Pakeha embarked together on a new partnership. “For New Zealanders, Waitangi Day invites us to think about our identity as people, as a country, and about our place in the world. He said relations between countries were not merely the preserve of governments and diplomats. “All of you Kiwis and Fijians hold New Zealand and Fiji in your hearts. “We study, train, work, worship, grow up and love together, travel between our countries, vacation and volunteer together, invest and trade, serve in the armed forces together, play sport and sing together,” Mr Curr said. “As countries, we are both plucky and fiercely independent. Despite our size, we give our all, on a rugby field or a climate change conference, in peacekeeping, or trading our way in the world. “We have a lot in common, a lot to celebrate and, frankly, a lot left to do,” Mr Curr said.